Join CEO’s, senior executives, directors and chairs for a day of dynamic discussion about how CMEs here and abroad are managing risk and rising to the opportunities of the ‘disruption era’. 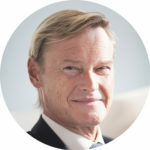 Highlights include a rare opportunity to hear from Yves Morieux, the founder of global organisational management system, Smart Simplicity; and an ‘insiders take’ on the near-death experience of The Co‑operative Group, the UK’s largest CME conglomerate, after the collapse of its banking arm. Financial barriers and global solutions to capital raising is also a key theme. International speakers Bill Wilson (USA) and Peter Hunt (UK) share unique insights on the reforms and levers necessary to unshackle CMEs. The Summit will provide Australian CME leaders the chance to compare and contrast progress here and abroad not only in capital access. We are very excited to welcome a trade delegation from the All China Federation of Supply and Marketing Cooperatives (ACFSMC), the largest co-operative in China. ACFSMC is the apex organization of all supply and marketing co-operatives (SMCs) nationwide, representing 120 million member households and 3.47 million employees. Mr Wang Hanmin, Vice President, ACFSMC, is a keynote speaker. Summit delegates interested in securing a private business meeting with ACFSMC representatives please contact the BCCM. Yves shares his ideas for increasing the competitive advantage of CMEs through the sophisticated management of complexity in organisations. Smart Simplicity is a global management system phenomenon used by hundreds of leading firms, but its deepest impact is experienced when implemented inside co-ops and mutuals. Yves talk was the smash hit of the 2016 Quebec International Summit for Co-operatives and his TED talks have been viewed by hundreds of thousands more. A rare opportunity to find out more about the Smart Simplicity ‘rules’ in an interactive discussion with delegates moderated by Patrick Durkin, Deputy Editor of BOSS Magazine. Are CMEs understood by the regulators? Are they getting a fair deal compared to other business models? Our panellists discuss the role of the regulator through the eyes of the ‘regulated’ Come prepared for candid debate. Our panellists discuss the many cases of mutual intervention in broken markets and where the opportunities for future growth may lie. Your chance to hear from the research team behind a major new project to measure member value in CMEs, and a ‘blow by blow’ account of how the UK’s Co-operative Group won back millions of disaffected members through a clever campaign reconnecting with what it means to be a ‘good’ co-op. 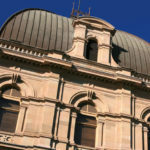 This award-winning social enterprise manages two successful businesses, including a long term contract with Brisbane City Council, turning over almost half a million dollars a year. Twenty members with a disability have secured work through the co-operative, they collectively control the organisation and more than 80% of their income is derived from trade. What’s their secret? Ownership is key. Helping people to own a problem and to secure the means with which to address it, can unlock their creativity, drive and entrepreneurship. Join members of the co-op for morning tea to hear about a radically different approach to the way we think about social impact investment and enterprise building. Join three outspoken speakers for a ‘no holds barred’ insiders take on what it takes to survive as a CME in current operating environment. The Co-operative Group (UK) and CBH Group (Aus), the two largest co‑operatives in either country, have recently survived a slew of challenges to their co-operative structure whilst Bega Cheese some time ago, took a different path. Nick, Wally and Barry have courageously agreed to candidly discuss ‘near-death’ experiences: Do you dare miss this? Is blockchain just another digital thought bubble or a serious game changer for customer and member retention? These digital trends and more will be discussed. Why is it that farmers in the States can self-insure and self-finance through their co-operatively owned farm credit societies? Scale is not the whole story as Bill Wilson will show. Join this breakout session for an in-depth conversation about how we apply some key learnings to the Australian agriculture sector. Program as at September 8 2017 – subject to change. Visit the 2016 Leaders’ Summit and Industry Dinner.